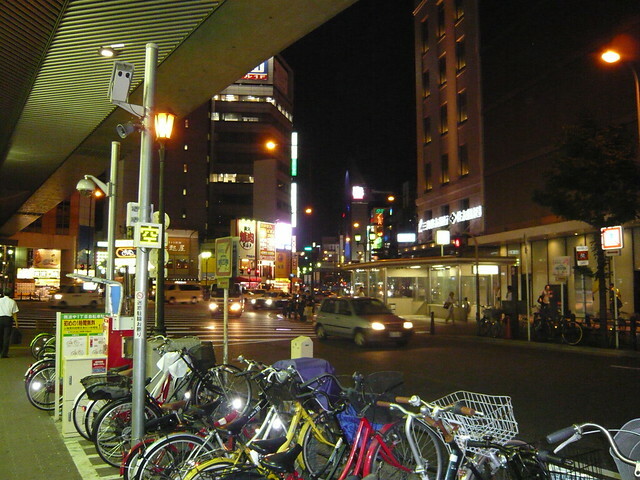 ‘No need to book up’, I had told the Mrs. ‘There are loads of hotels in Osaka, and I know a great one’. Unfortunately I couldn’t find the place I had in mind, time was getting on and finding a bed for the night was proving difficult. We must have looked somewhat lost as a kind local stopped and asked if he could assist. After explaining our plight, he took us to a hotel and even managed to negotiate a cheaper rate! 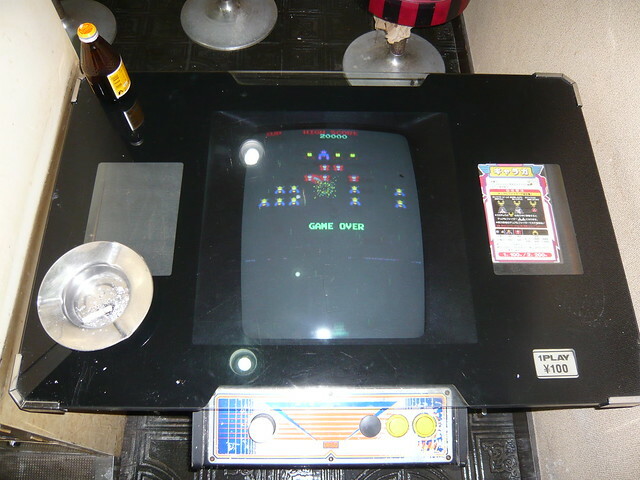 We dumped our bags, left the hotel for a bite to eat and just happened to pass Nanboya Arcade. 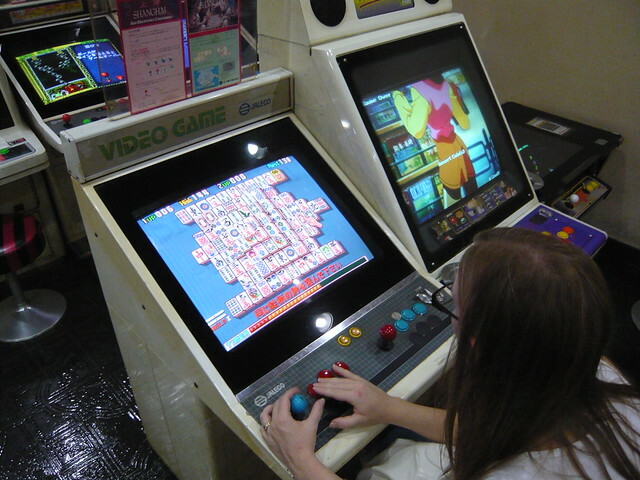 The arcade was located on a busting street adjacent to a crossing, and looked very similar to The King of Fighters ’98 Osaka stage. 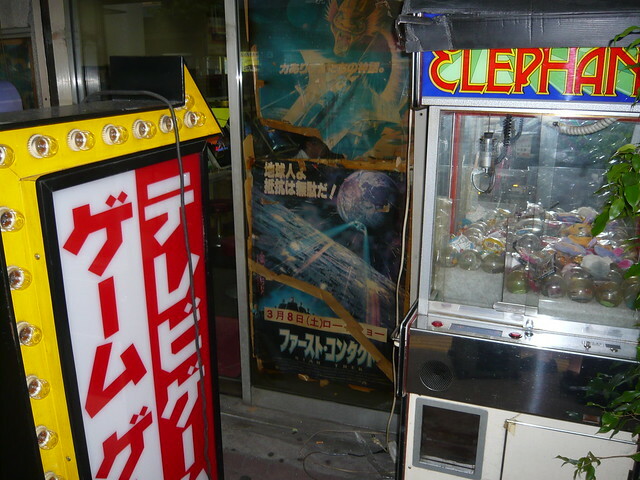 A worn sun faded Gradius poster in the window hinted at the awesome selection of classic cabinets inside. 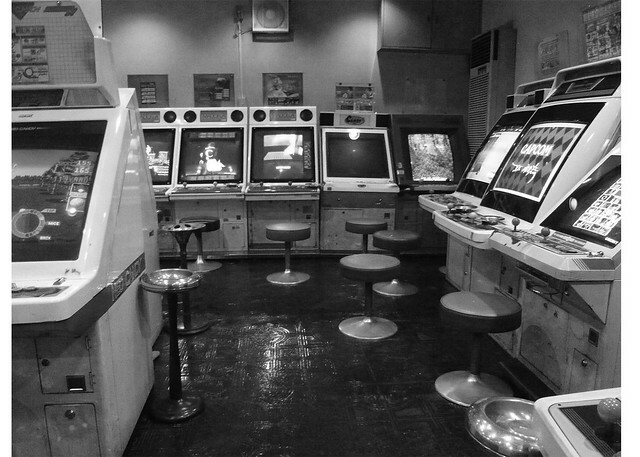 The arcade was decrepit and filthy, the cabinets stained nicotine brown from years of cigarette smoke. 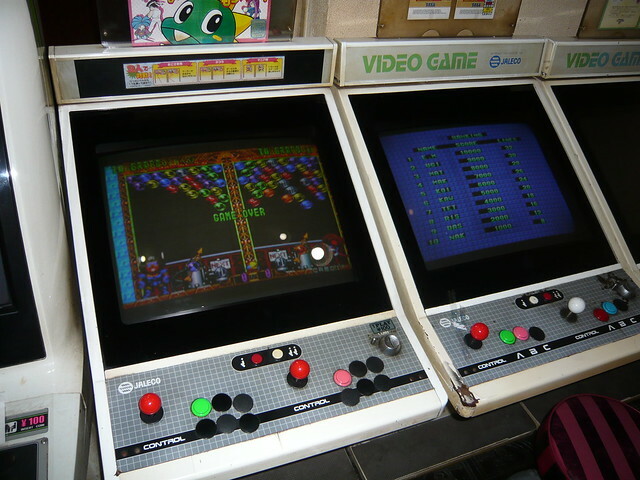 In other words, a proper old school Japanese arcade! 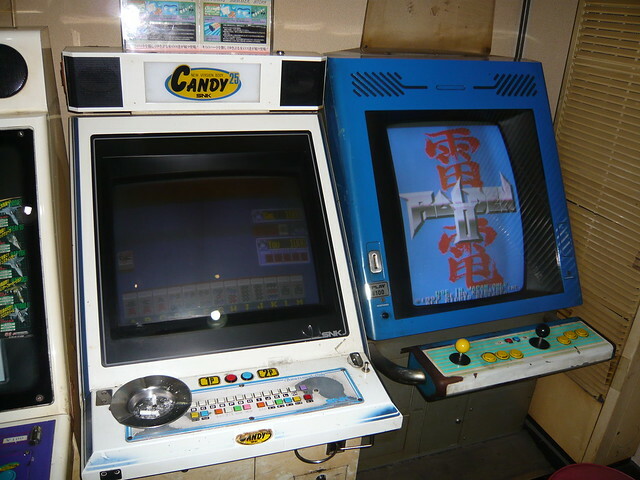 The arcade had an awesome line up of rare candy cabs, including Irem Madonna’s, Namco Consolette, Jaleco Pony’s, Konami Domy Jr, Nintendo Vs, and SNK Candy Cabinets. 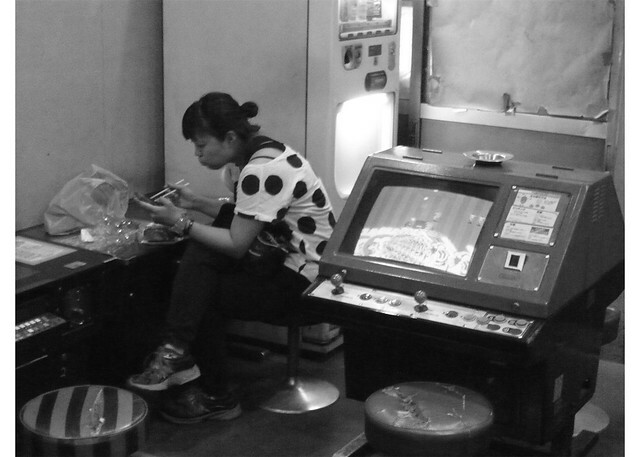 The arcade felt anachronistic and I was amazed to find such an arcade still exists. There was a nice selection of games, including Alien vs. 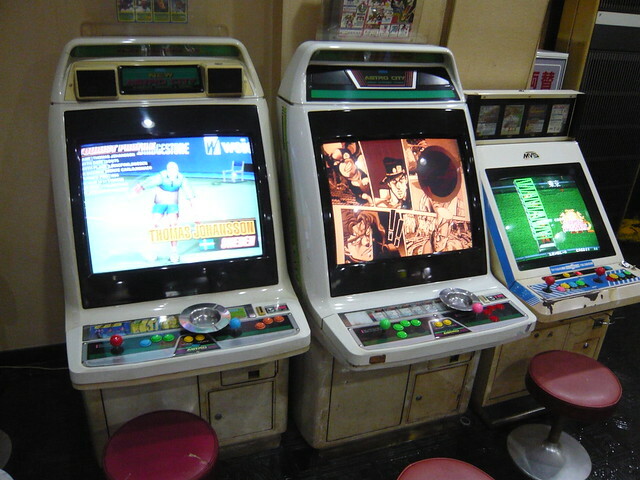 Predator, Donkey Kong, Mr Driller G, Raiden II, Strikers 1999, X-Men vs. Street Fighter, as well as various Neo Geo MVS and Mahjong titles. 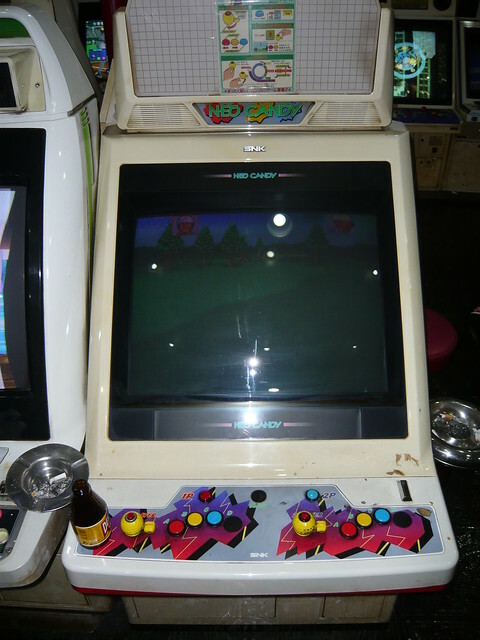 Playing Namco Classic Collection on the Domy Jr. I love these cabinets! 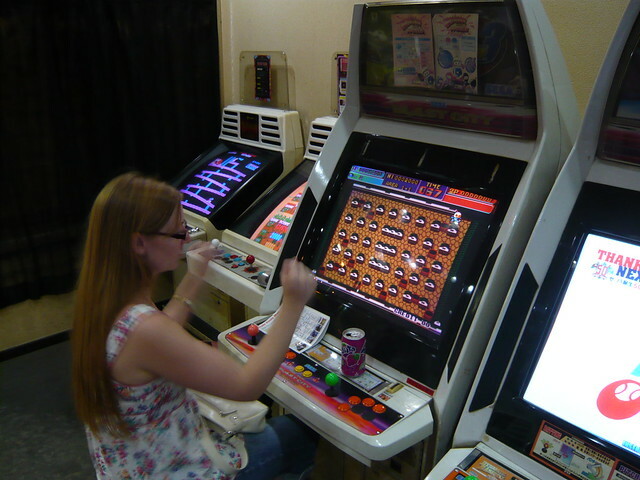 The Mrs getting excited with Bomber Man World. The next day we just so happened to walk past the hotel I was originally looking for. I’m so glad we didn’t find it or else we may never have stumbled upon this awesome arcade. 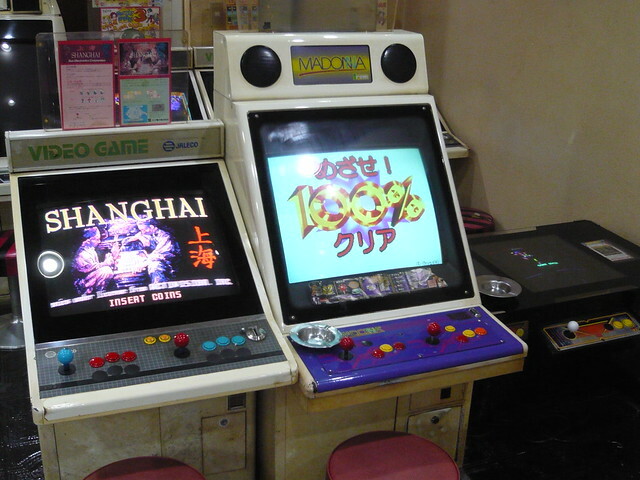 I have seen Nanboya arcade featured in two Japanese publications. 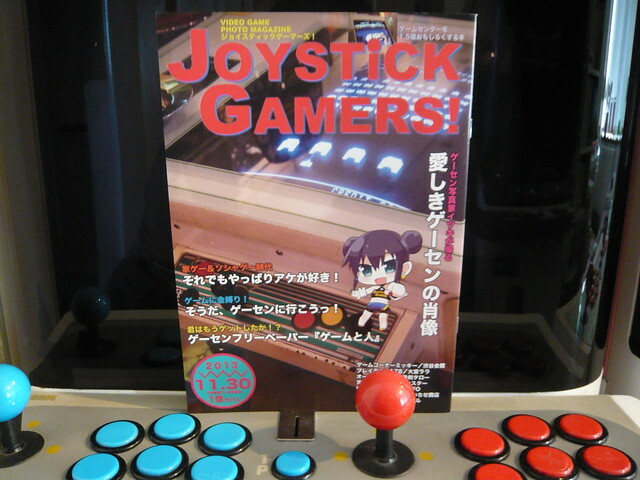 First up is Joystick Gamers! 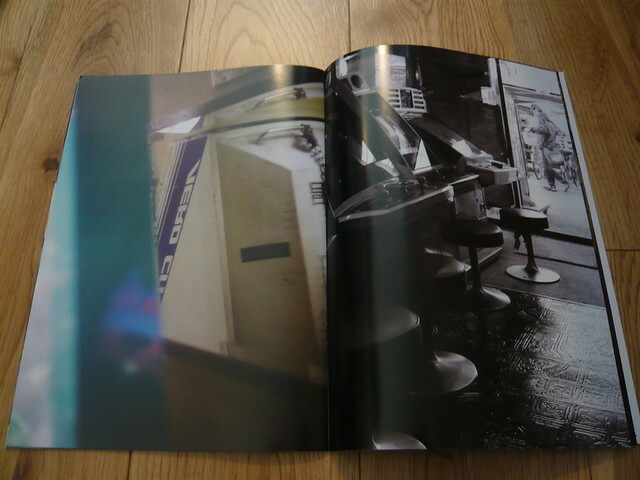 Video Game Photo Magazine #2. 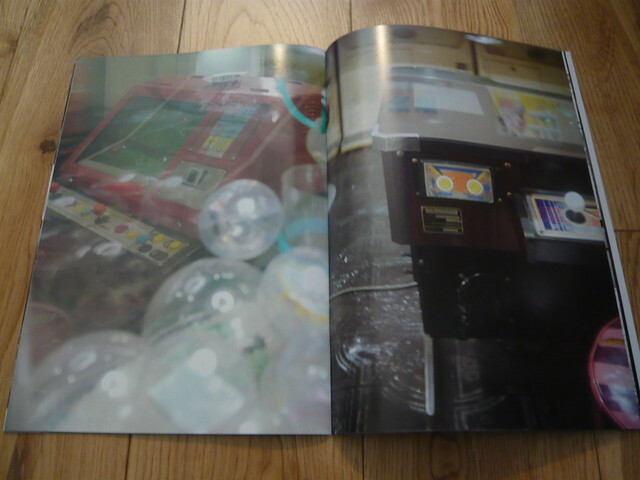 This magazine features beautiful photographs of old school Japanese arcades and candy cabs. 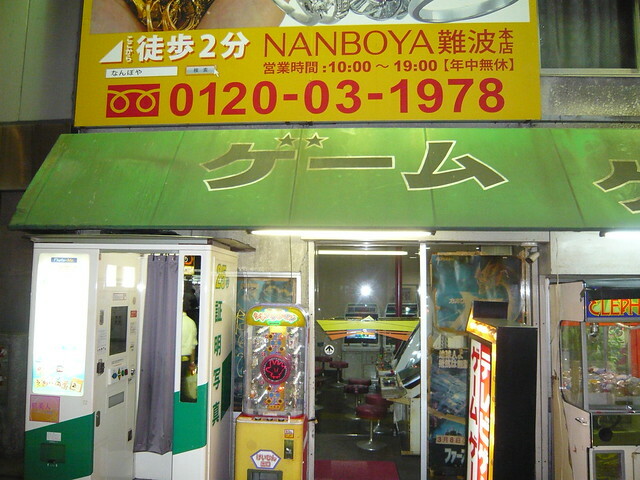 Below are some shots of Nanboya Arcade. Next we have the fan made Arcade Manual series. 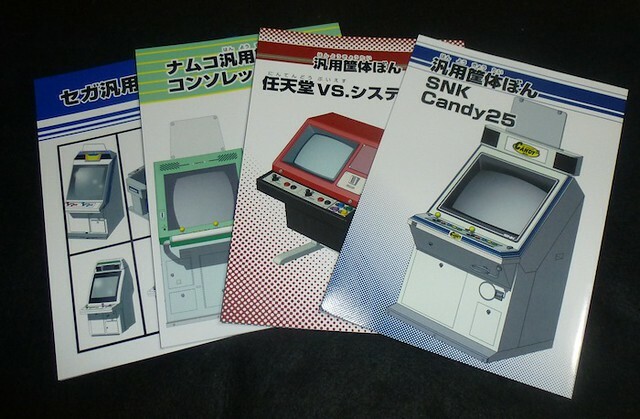 Each book in the series focuses on a particular candy cab and in the Namco Consolette 26 edition the author visits Nanboya Arcade. Jeff / Rancor (Shmups / Arcade Otaku) very kindly translated these pages for me. 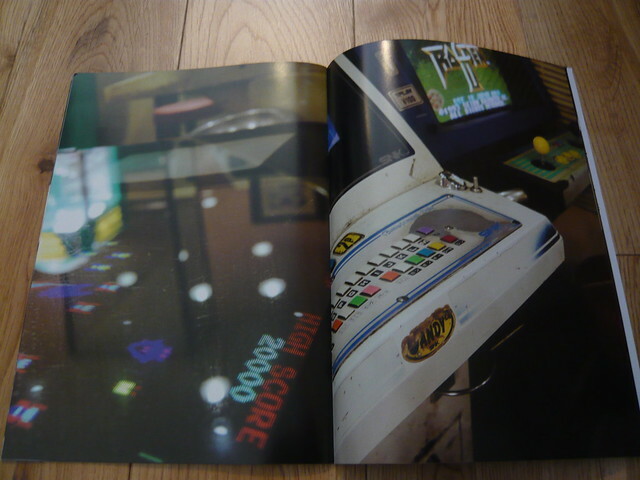 The write up on page 16 and 17 is a review of the arcade. 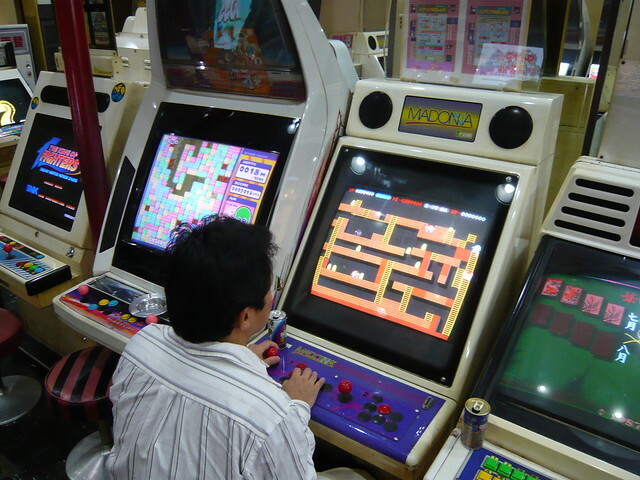 The author writes about how it was the first arcade that he had ever seen an actual Namco Consolette in, and it was a shame that is was so deserted. 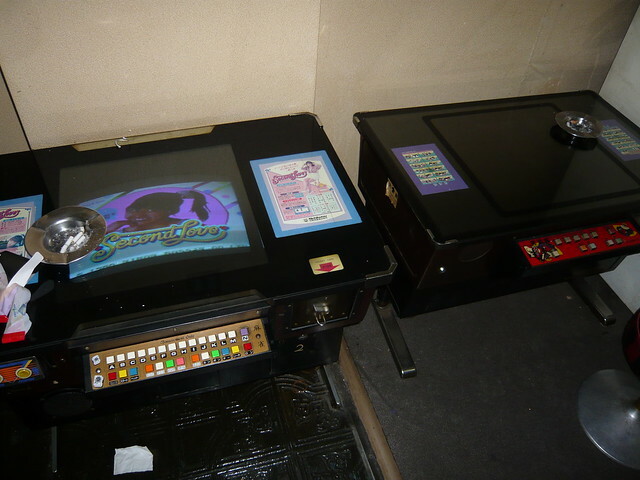 Apparently it’s quite large and has many other candy cabs that are not often seen (Madonna, Domy Jr, Nintendo Vs, DECO etc). 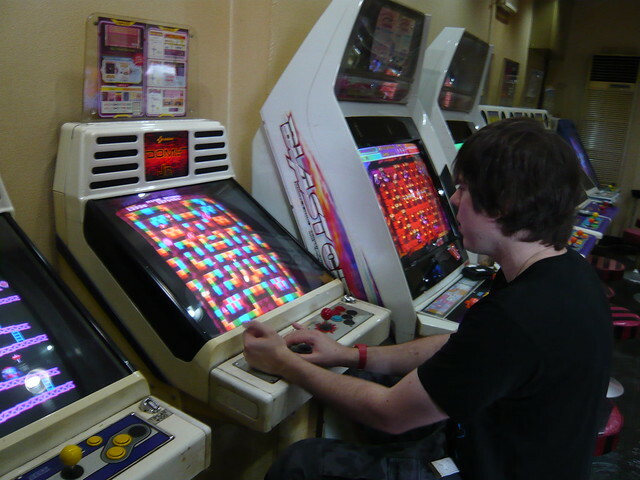 He stayed there for about three hours, and only saw five customers come and go, and he wonders how much longer the arcade can stay open. Since the air conditioning was cold (he was there in August) he thinks that maybe people just came in to cool down, and didn’t actually want to play any games. A few just sat in chairs and played their smartphones for a bit before leaving. 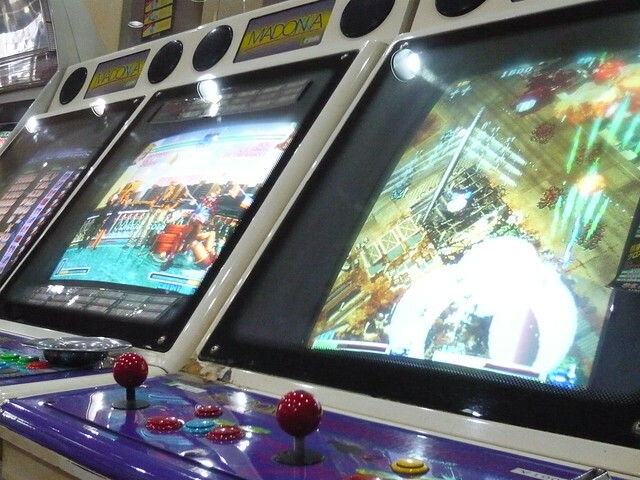 He uploaded a video of the arcade to the URL. 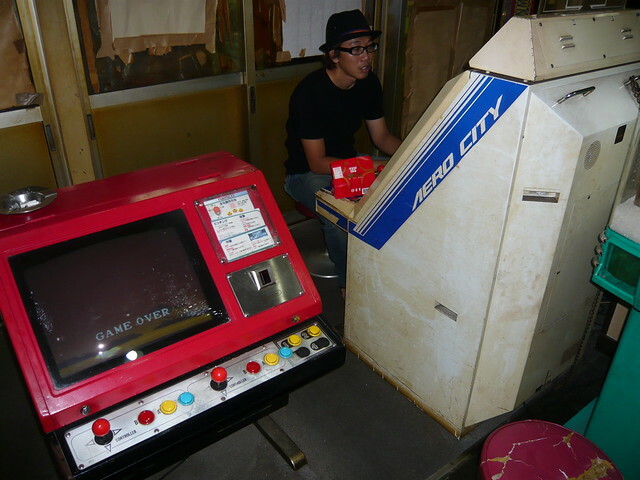 He’d like to be able to spend more time in the arcade to make some 3D models of the machines. Apparently this arcade is quite special. 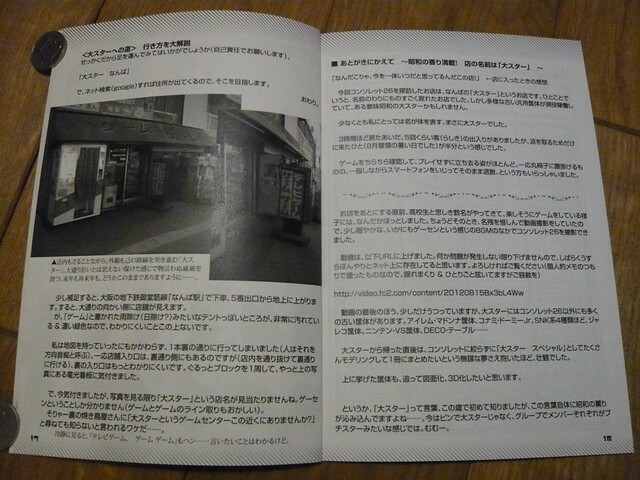 On page 17 he just describes the neighbourhood that it’s in, as well as how to find the shop. 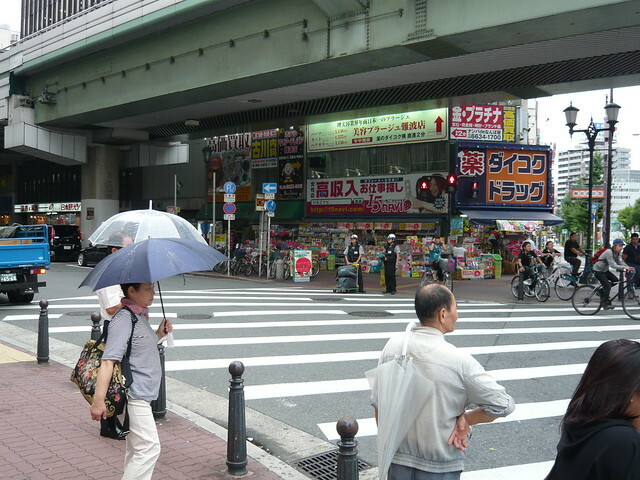 He says it’s quite grimy on the outside and is in a run down neighbourhood next to a place that sells grilled chicken. Many thanks once again to Jeff for the translation.